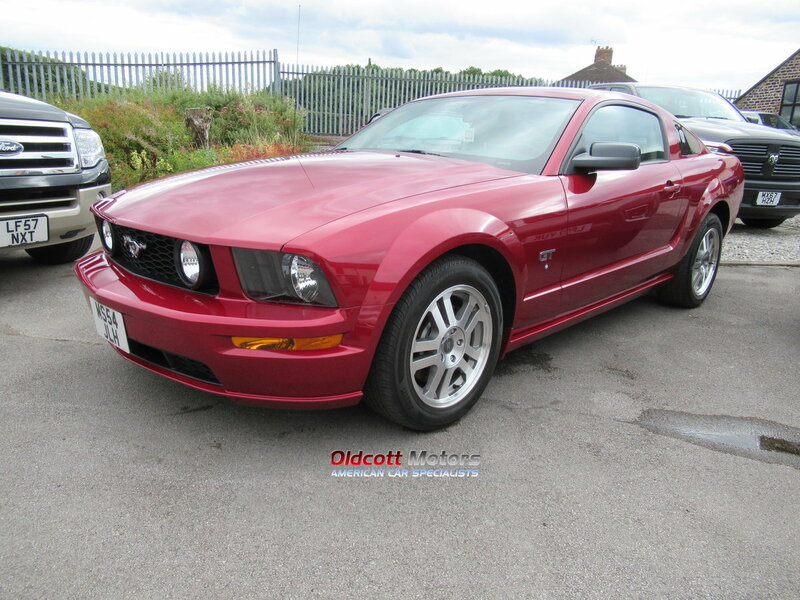 2005 Ford Mustang 4.6 litre GT premium automatic, 34,000 miles, 1 owner from new with history portfolio, metallic dark red with tan leather interior, good original condition throughout, HPI & CAR FAX clear reports, 2 keys and fobs, 12 month mot, PX welcome, Finance available. Oldcott Motors is a family business trading in new and used American Vehicles since 1958. New vehicles available to order. We have our own fully equipped service bay and all our vehicles come fully inspected and serviced. Opening hours are 9 am to 6pm Monday to Saturday and you are welcome to come and view our stock at any time. Good clean stock always wanted. Immediate decision and collection.